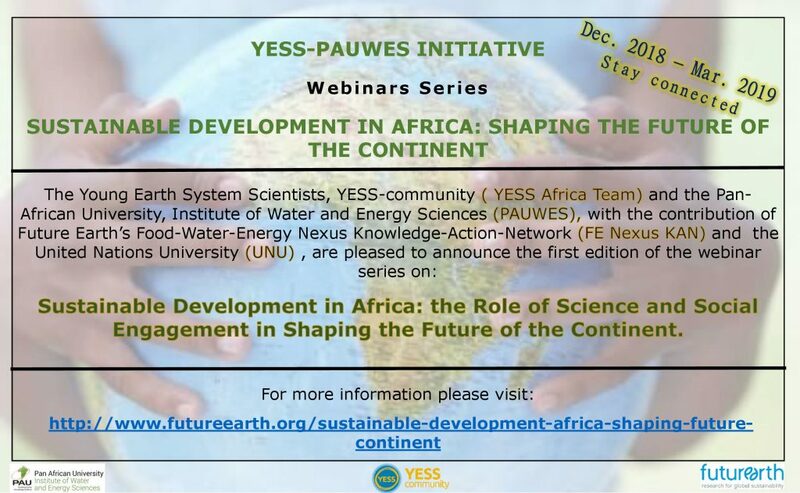 Earth’s Food-Water-Energy Nexus Knowledge-Action-Network (Nexus KAN) and the United Nations University (UNU), are pleased to announce the first edition of the webinar series on the Sustainable Development in Africa: the role of science and social engagement in shaping the future of the continent. Prof Kobus Pienaar (North-West University, South Africa) will lead this seminar. You are welcome to join us on January 23rd at 4pm (CET) by following this link.